Use the Armoury system to switch to any of the huge number of classic jobs & classes simply by changing your equipment as you develop your character however you want. Join millions of other players and begin your incredible adventure through the world of Eorzea for free. Play all the way up to level 35 experiencing the epic quests and the magical universe of Final Fantasy XIV at no initial cost. Venture to the realm of Ala Mhigo and the far eastern land of Doma – states crushed under two decades of imperial rule – and test your skills with new jobs, raids and instanced dungeons. Acquire new skills and abilities as either a noble samurai or rapier-wielding red mage. Explore the vast and teeming oceans of Eorzea as the latest updates introduce the ability to swim. Make yourself at home in the new eastern-styled residential district of Shirogane. Take your journey even further with an increased level cap, allowing you to develop your strengths and skills even further and an increased inventory size to accommodate your ever-growing loot stash. 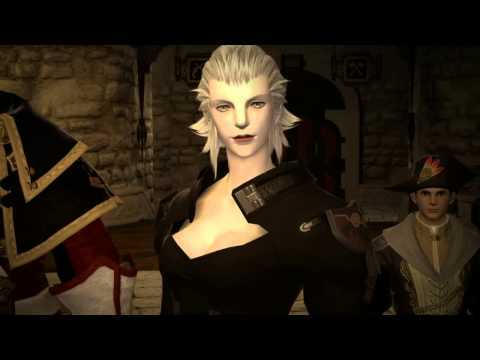 Quest north and discover new lands, new races and hours of new content in Final Fantasy XIV: Heavensward. Explore the ashen streets of Ishgard, the untamed wilderness of Dravania and the dream-like islands of Abalathia as you journey heavensward. Discover a stricken city and a theocracy crumbling beneath endless centuries of war as enigmatic characters and twisting plot lines guide you through your continuing quest. Unlock new skills and roles with three additional jobs: brave uncharted territories as a tech-obsessed “Machinist”, a pious “Dark Knight” or an enlightened “Astrologian”. Embark anew, exploring lands both familiar and strange as an Au-Ra, an exotic race with elegant patterned scales and ferocious horns. Steel yourself for brutal new enemies, challenging dungeons and savage “Primals” that will push your skills far beyond level fifty. Explore the lantern-lit paths of Gridania where folk and nature exist in harmony. These labyrinthine woods play host to Lancers, Archers and Conjurers, along with the studies of Botanists and the craftsmanship of Leatherworkers and Carpenters. Investigate the mysteries of the Black Shroud beyond Gridania’s limits to encounter wonder and peril in equal measure. Take a turn around the regal decks of Limsa Lominsa, the heart of Eorzea’s naval industry. Home to the wise Arcanists and brutal Marauders, you can also pursue your talents in fishing, blacksmithing and cookery here. The surrounding lands of La Noscea boast sweeping clifftop views and idyllic farmsteads – perfect for a chocobo ride. Just be on the look-out for pirates. Includes all Starter Edition content, along with both the Heavensward and Stormblood expansions. 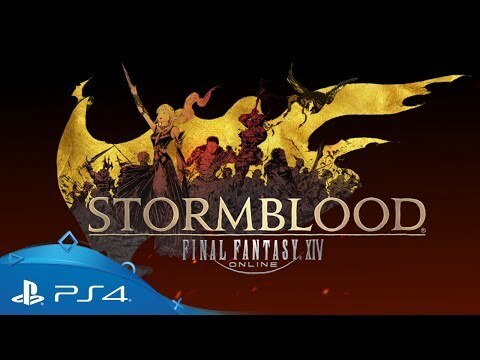 Includes the complete Stormblood and Heavensward expansions for owners of the base game. Includes all the original content from Final Fantasy XIV: A Realm Reborn, including all free updates.